GrooveMaker 2 app you can create electronic, dance and hip-hop tracks in real-time. Find out the features the app has to offer. Many of us use our tablets as part of the work as much as entertainment. If you’re a music producer who uses his/her iPad to create and/or manage music on-the-go you might have heard of IK Multimedia already. They have devices and apps that allow you to use your iPad in many creative ways. Everything from mics, stands, keyboards, to various plugins and software, IK Multimedia allows a production studio anywhere and everywhere. They have just announced the GrooveMaker 2 App. 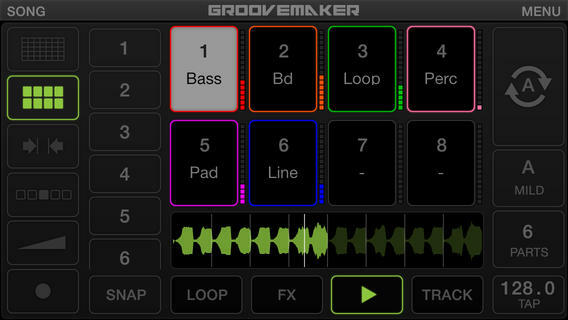 The GrooveMaker 2 App allows you to create dance, hip-hop tracks on the go on your iPad, iPhone or iPod Touch. The app comes with pre-arranged set of “loops” (songs), but you can record your own and mix them. Check out the press release below for more details on how the GrooveMaker 2 App works. Do you produce music on your iPad? Is it helpful to do it from your tablet instead of a desktop/ laptop? 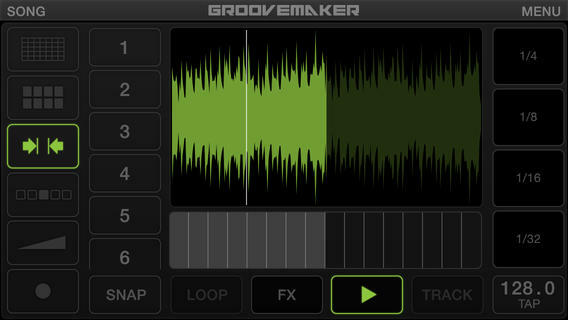 GrooveMaker® 2 is the latest version of this revolutionary iPhone/iPad/iPod touch app, designed for creating non-stop electronic, dance and hip-hop tracks in real-time by anyone anywhere, with results that sound like they were produced by a professional DJ. Making music with loops will never be the same. GrooveMaker works with pre-arranged sets of loops (called “Songs”) that always sound good together. You can remix them in real-time in virtually limitless ways with our patented “groove generator” technology — all with just one touch. As soon as you select a Song, you enter into the new Grid interface. Push the Randomix button, and you will immediately see the building blocks of your groove appear on the grid, and the music will start playing. You can change grooves with the Randomix function, or literally “draw” new grooves directly on the grid. You can lock loops, solo and mute them, change volume and pan, and freely associate loops to each of the 8 available tracks. When you’re satisfied with the results, just take a Snap (snapshot) to memorize it for further sequencing. Enhance your grooves with the new Effects interface, where you have 16 high-quality DJ-oriented effects, from Filter to Delay, Stutter to Flanger, and Crush to Noise. You also get highly creative effects like Twist, Brake, Spin and Tail, that can only be found on sophisticated professional DJ gear. All the effects can be operated with the X-Y touch surface, where you can even record automation within the 8-bar groove duration, for ultra-dynamic groove-effects progressions. You also have a new Master section, where you can give the finishing touch to your groove with a Compressor, an EQ and a Filter, for a professional sound that can be cut straight to a record. GrooveMaker Packs offer over 3,600 loops. They come grouped “Song” packs that are each organized by categories such as bass drum, loop, bass, line, pads, effects and percussion. There are 70 collections available, featuring styles like House, Dubstep, Hip-Hop, Techno, Trance, Electro, D’n’B, Reggae, Reggaeton, and Rock. There are even artist packs from Ace of Skunk Anansie, Chris Domingo and Cool & Dre, with more to be released. 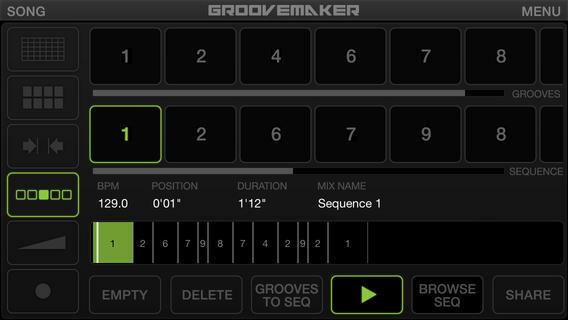 Additionally, GrooveMaker 2 lets you record your own loops with your device, and add them to your grooves. You can also import audio material directly from your Music Library or other sources, cut them into loops, and auto-sync them with your groove effortlessly.